When you think of survival or post-apocalyptic stories, the usual suspects involve surviving a zombie apocalypse, exploring a war-torn land during or after a major conflict, being the last one standing in an island with 99 other people with explosive chokers, or being one of your surviving kind and fighting against invaders from another land. 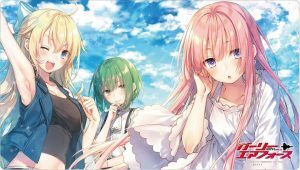 Kemurikusa is one such adventure-survival story about three sisters; Rin, Ritsu, and Rina(s), who are constantly looking for water and at the same time trying to avoid the mysterious red fog that engulfs the world devoid of any forms of life. 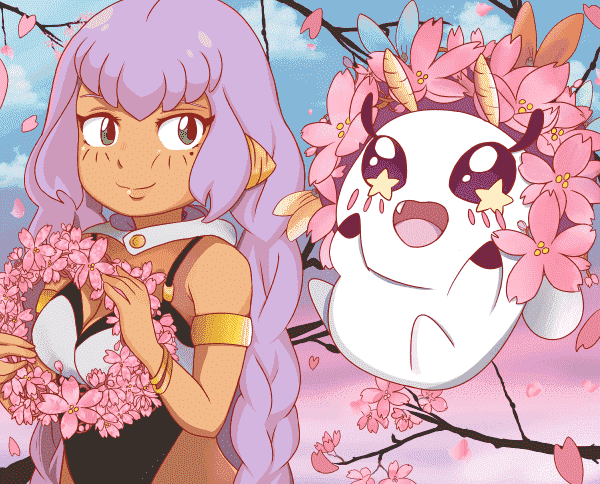 Aiding in their journey are the kemurikusa, leaf-life items with magical properties that grant the sisters special powers and which they use to fend off creatures from the red fog which they call mushi (bugs). The list of 6 similar anime to Kemurikusa doesn’t have to be a 1:1 comparison, but rather the titles share the same plot points drives the characters and story forward. Stories of survival, camaraderie, and journies, these are 6 Anime like Kemurikusa. 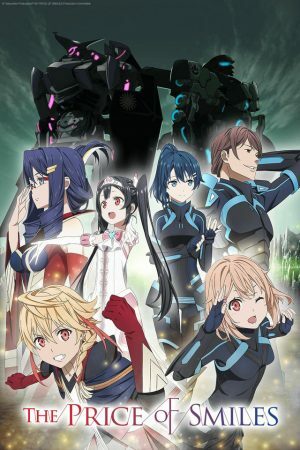 In the far future, robots dethrone the human race as the rulers of Earth and the remaining human survivors are under their new robot ruler Braiking Boss. The robots’ rule is short-lived when the cataclysmic event called the Ruin occurs—the atmosphere is engulfed with “poison” that causes the robots to rust and is extremely toxic to living things. For the first time in their existence, the robots now fear death as their bodies rust away and are forced to kill each other for parts. But what caused the Ruin? Rumors say it was caused by a rogue robot named Casshern and some of the stories about him say he has a body that is immune to the Ruin, and eating him will grant the robots immortality. Casshern Sins and Kemurikusa couldn’t be more different from each other. 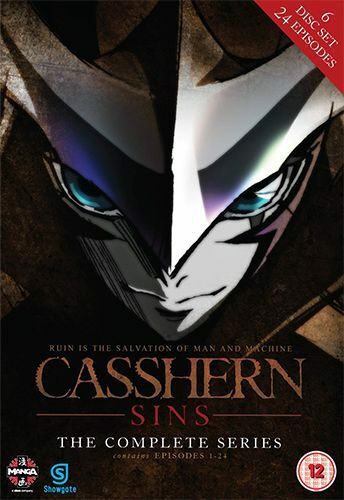 At first glance, Casshern Sins is a story of a robot wandering aimlessly, unaffected by the Ruin that turns machines into dust. His rust-free body is the envy of the decaying denizens of a world devoid of life, and they will do whatever it takes to kill Casshern and salvage his pristine body in an attempt to live longer. Whereas in Kemurikusa, the surviving girls and an amnesiac boy journey across dangerous abandoned cities looking for water and fight off monsters along the way. The one thing Casshern Sins and Kemurikusa have in common is the story of survival in a dystopian world. The world of Casshern Sins is bleak, silent, and dead with no living things roaming the wastelands. Robots form small communities awaiting their deaths or struggle to survive by scavenging parts from their dead comrades. The world of Kemurikusa is also bleak, silent, and dead with no living things roaming the wastelands. 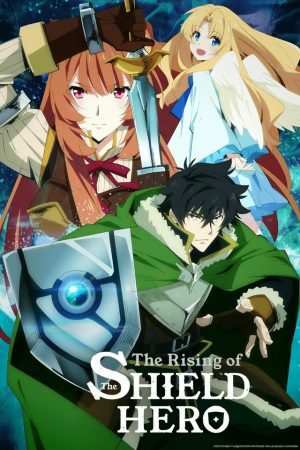 Both anime made good use of showcasing their dystopian world and it makes you wonder what the hell happened. In the distant future, crystalline humanoids called Gems roam the Earth and they face annihilation by beings from the moon. These so-called Moon People hunt down the gemstones for their precious and valuable bodies, so the Gems are constantly fighting to keep their body parts intact. 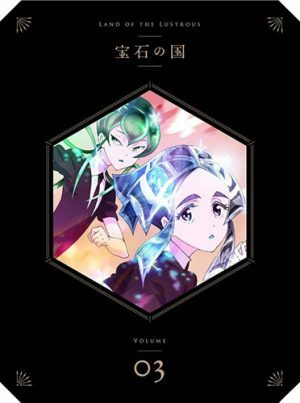 Phos, one of the youngest and inexperienced gemstones, is the focus of the story—Phos learns about the world around her and at the same time defends herself from the relentless attacks of the Moon People who are after her mesmerizing bluish glitter. Kemurikusa is about survival and fending off otherworldly creatures that can appear at any moment. The three sisters Rin, Ritsu, Rina, and the human boy Wakaba travel to various dilapidated islands via a tram system in order to find water. Along the way, they must avoid the ominous red fog that covers the islands and avoid robot-like bugs called “mushi.” In Houseki no Kuni, the Gems constantly fight for survival against the Moon People. For hundreds or even thousands of years, the Gems have been holding their ground, but their numbers are slowly dwindling as each Gem gets captured, dissolved, and repurposed as glittering ornaments by the Moon People. At a very young age, Chito and Yuuri fled their hometown during wartime. The war has ripped the world apart and all that remains of human civilization are ruins of once mighty cities. Our story starts a few years later with Chito and Yuuri wandering the dead city for supplies like rations, water, and fuel for their trusty motorbike half-track. The two often struggle with the eerie loneliness and contemplate whether or not they can find any survivors. Regardless, the two are inseparable and they’ll continue with their aimless journey until they find the answers and see if they truly are the last humans on Earth. 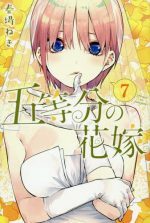 Chito and Yuuri aren’t fighting strange creatures to survive, nor is their life threatened by hostile remnants as Rin, Ritsu, Rina, and Wakaba are experiencing, but both groups still share two common story points: they journey across a dystopian world looking for food and supplies and are constantly trying to piece together what the old world was like. 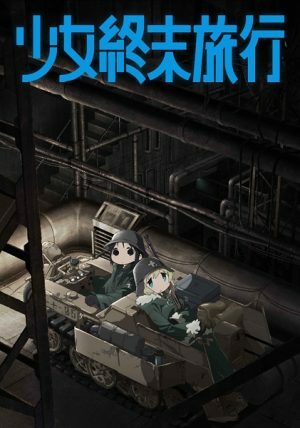 Chito and Yuuri travel across a massive deserted city scarred by a war whose history is buried. 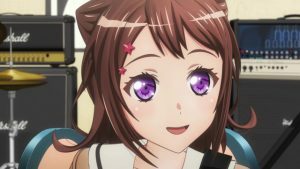 In their journey, the girls acquire a digital camera with thousands of pictures and videos of the world taken before the war had broken out. 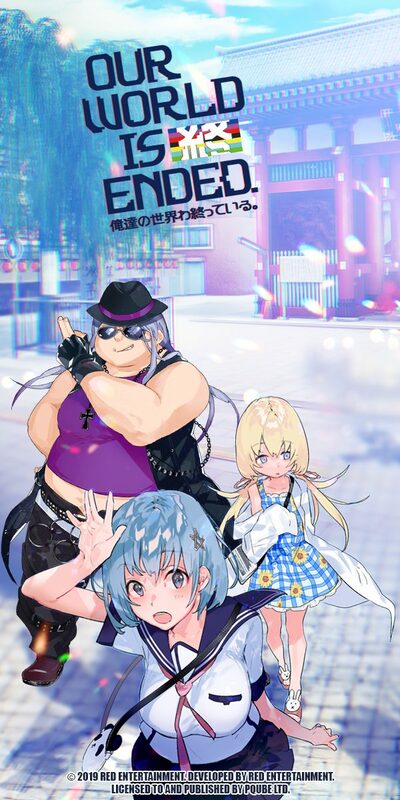 Whatever the world was like, Chito and Yuuri continue on with their aimless journey across a seemingly endless city with endless street levels that stretch across the sky. 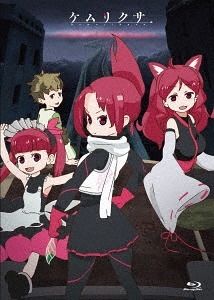 Any Anime Like Kemurikusa ? On a remote island lies the Abyss—a massive gaping hole of unknown origin, containing artifacts and lost technology from the ancient past. Cave diggers known as Divers descend into the Abyss to unearth relics or anything that will fetch a pretty penny. But Divers beware: the Abyss holds many secrets and hides countless horrors that claimed the lives of many ambitious explorers. 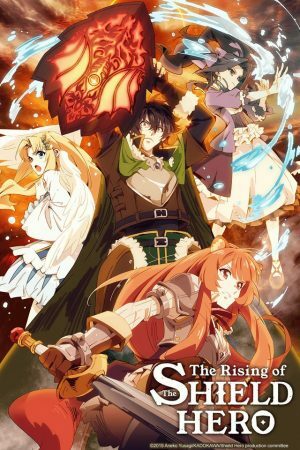 Riko is a young orphan who strives to become like her mother who descended to the Abyss and unearthed new relics and mapped the seemingly-endless chasm. On one of her expeditions near the surface, Riko’s life was saved from a giant serpent by a mysterious robot that looks like a young boy. The boy, Reg, doesn’t remember who he is, but a lot of evidence point out that he’s from the deepest part of the Abyss. Just who is this boy and why did he come to the surface? A young boy with no memories and has a connection to the Abyss or the red fog? Check. 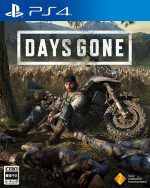 Young boy is accompanied by girl companion and they journey across hostile territory and survive the many horrors that lurk behind the shadows? Check. 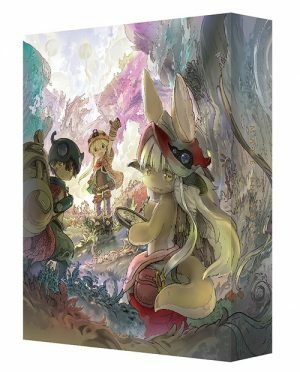 Made in Abyss is very different to Kemurikusa in terms of story, but the two share some of the same “boy in search of his past” plot point. 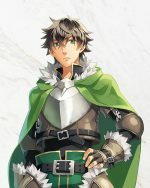 Wakaba, a human boy appeared unexpectedly in front of the three sisters and he appears to have a connection to the red fog that engulfed the world. Wakaba has no memory of his past nor he has recollection how he ended up inside Rin, Ritsu and Rina’s water supply tank, but his journey with the girls may help him uncover his past, and maybe his origins as well. 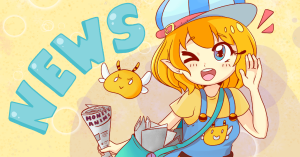 Reg is in the same boat as Wakaba—Reg lost his memory after saving Riko from a monster at the surface of the Abyss, and after discovering pieces of notes recovered from deep below the Abyss, Reg is convinced the answers to his identity lies beneath the cursed chasm. 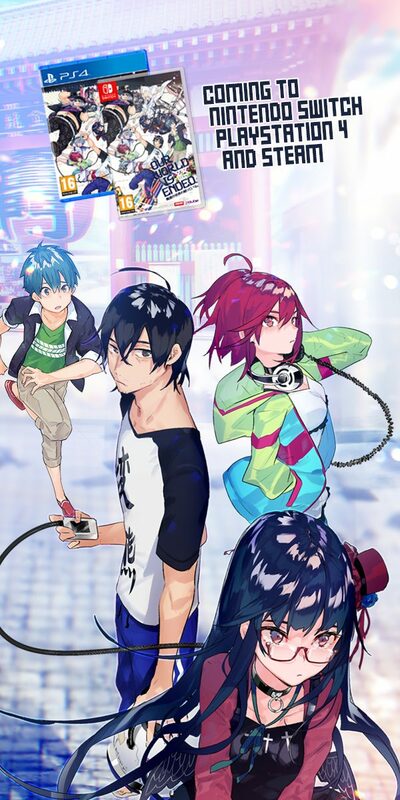 Reg teams up with Riko has other reasons why she’s going down the Abyss, so the two teamed up and prepare for whatever obstacles they’ll find and hopefully find the answers they seek. Takeya Yuki loves school and she adores everyone. 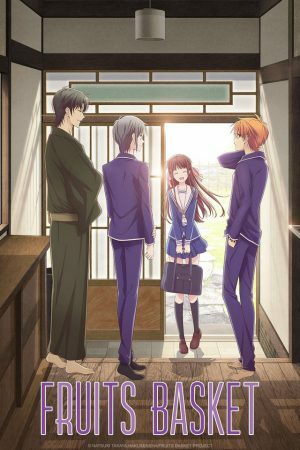 Everyday she goes to school, chat with her classmates and study with her favorite teacher Sakura Megumi, after school, Yuki attends the School Living Club and hangs out with fellow club member Ebisuzawa Kurumi, Naoki Miki and Wakasa Yuuri. 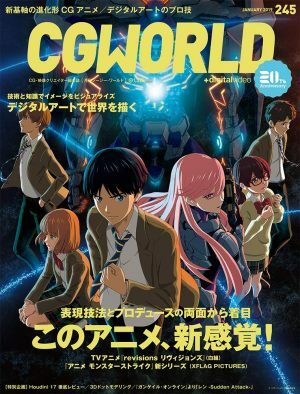 The club prides itself for having activities that makes most out of your school life and, but everything from cheerful classmates and difficult lessons are just an illusion—Undead students roam the school grounds and the members of the School Living Club are the only survivors in the zombie apocalypse. It’s a fight for survival and each group of survivors tackle the apocalypse differently. Rin, Ritsu, and Rina have the strength and firepower to take down a mid-sized mushi and a group of smaller ones, but they need more brute force to take down the giant mushi types, or just avoid them when possible. The club members of School Living Club—Yuki, Yuuri, Kurumi, and Miki aren’t warriors, nor possess superhuman powers, but they have their wits, determination and are positioned in the best areas of the school—access to canned food, a rooftop garden, solar panels and a reservoir. With careful rationing of food and water, constant monitoring of zombie movement and maintaining the barricade, the girls can theoretically live in the school for many years, or long enough until help arrives. Though supply will eventually run out and acting leader and big sister Yuuri must make the decision to go outside of their fortification and scavenge for food at the nearby cafeteria. For the survivors in Kemurikusa, the water supply is already low and they have no choice but to venture into new areas in search for more of the precious life-giving liquid. Of course, Rin, Ritsu, Rina and Wakaba are prone to attacks from the mushi lurking in the red fog, so careful planning and choosing the right battles are essential. 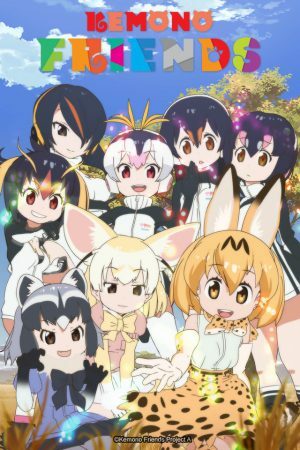 Japari Park is a huge zoo containing various areas of differing climates from marshes, savannas, forests, and frozen tundras. It was abandoned after the nearby volcano spewed mysterious colorful particles called SandStar and engulfed the park. Touching these particles transform animals into animal girls called Friends. The story begins with the Friend Serval spotting a peculiar creature roaming the hot savanna. The creature wears clothes, a hat, and carries a backpack, and she doesn’t seem to adapt to the hot environment. The creature, now named Kaban, has no recollection of how she ended up in Japari Park and she doesn’t know what kind of Friend she is. Being the helpful and adventurous type, Serval helps out Kaban and the two set out to find clues on Kaban’s true identity. 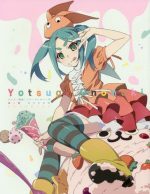 Kemurikusa and Kemono Friends are very different in terms of story and characters, but the two shows came from the same mold—They were written and directed by Tatsuki from Studio Yaoyorozu. Kemurikusa shares the same elements of a cast of cute and charming non-human characters, an amnesiac searching for their lost memories, the characters form a group and travel to various locations in their quirky mode of transportation and fight bug-like monsters of various shapes and sizes along the way. The art style and the low-budget animation production are so similar, one might think Kemurikusa and Kemono Friends are from the same universe. And there you have it! Kemurikusa isn’t groundbreaking nor will it win awards, but Kemurikusa excels at giving a bleak world some color thanks to quirky characters and a simple, yet interesting story of survival. Some of the similar titles we’ve listed may not offer the same experience, but we hope they’re different enough to give you a ray of hope and a few smiles in a post-apocalyptic future with nothing but death and solitude. We Watched Kemurikusa for You to Find Out If It's Worth It. The Details Are in the Three Episode Impression!